ATLANTA GA – When Secretary of State (SOS) Brian Kemp’s new 18 member voting system commission meets on June 13th it will include no election integrity (EI) advocate and noinformation technology (IT) operations professional. The commission does include a cyber security expert as recommended by local EI advocates during the last legislative session, but neither of the other two critical disciplines recommended will be represented on the commission. 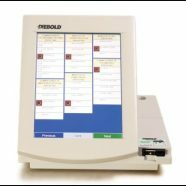 National EI experts have publicly hacked the type of voting machine Georgia uses at Princeton, Georgia Tech and the U.S. Congress. Local EI advocates are the only individuals, who have compiled a history of Georgia voting system problems, documented Georgia voting system vulnerabilities and personally advocated for specific legislative changes to protect Georgia voters. Nationally recognized EI experts at Verified Voting provided testimony and assistance for the Georgia House Science & Technology committee last year. Local EI groups include Voter GA,Georgians for Verified Voting, and Defenders of Democracy. They have up to 16 years of verified voting system research and voting system issue tracking that dates to before the current system was installed in 2002. Other local groups who are strong voting system integrity advocates include Common Cause Georgia, Madison Forum, and Electronic Frontiers of Georgia. In lieu of such expertise, two lobbyists with no obvious elections experience were added to the commission as “voters at large”. One registered lobbyist is close to House Speaker David Ralston. Another is a member of the Prosecuting Attorneys Council that made three unsuccessful attempts to legalize no knock searches in 2015. EI advocates are concerned about lobbyist involvement in the voting system selection. They claimed in the last session that incumbent voting system vendor ES&S and their lobbyist Georgia Link exercised undue influence over SB403 bill language in the House at the expense of voter protections. They argued legislators are obligated to protect Georgia voters, not out of state vendors. The omissions and anomalies raised concerns again that leaders could “hard wire” a deal to current vendor ES&S before a new incoming SOS can take office. 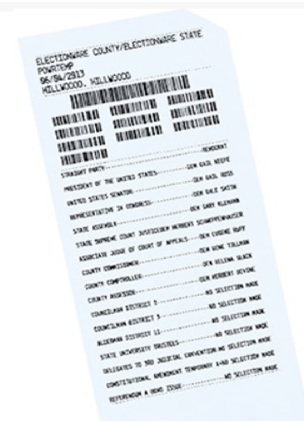 The system ES&S promoted and deployed in a 2017 Rockdale pilot tabulates votes hidden in unverifiable bar codes while showing the voter selections that may be different. EI advocates unanimously oppose another such unverifiable vote system.